Captains Alfred Edwin McKay and Arthur Gerald Knight (Royal Flying Corps) are on patrol over the Somme when they are attacked by Oswald Boelcke. During the engagement with the great German air ace he collides in mid-air with one of his own men Erwin Bohme. Boelcke’s Albatros falls to earth and he is killed. Both British Captains will be killed by the end of next year. In Australia a national vote produces 1,087,557 votes in favor of conscription while 1,160,033 are against. The troops in Europe vote by secret ballot with 72,399 for conscription and 58,894 against. The high point of Australian Rules football overseas during the war is the match held at the Queen’s Club, London, before a crowd of 3,000 and in the presence of the Prince of Wales and King Manuel of Portugal today. The match is played between sides representing the 3rd Division and the Combined Training Units and is notable for the numerous top players on both sides. The Reverend C Julius Perry, vice-captain of Norwood (South Australia), leads the Combined Training Units, and Bruce Sloss, the former South Melbourne star and 1911 Champion of the Colony, captains the 3rd Division team. It is one of the last games of football Sloss will play as he will be killed in action in January 1917 during a German raid on his battalion’s trenches. Margaret Jane Geddes of Buckie, Banffshire loses both her husband and son when H M Drifter Speedwell V is driven aground and becomes stranded on Splaugh Rock near Greenmore Point in St George’s Channel. Skipper George Geddes age 45 and his son trimmer George age 18 are both killed. Also lost in the sinking are brothers Engineman Alexander Blackhall age 26 and Deck Hand George Blackhall age 20. Defensively armed merchant steamer S S Marina (Master John H Brown) is torpedoed and sunk thirty miles west of Fastnet. Her crew including her Master of eighteen is lost. The hired trawler Bradford (Skipper William Bruce DSC RNR) founders in a gale near the Old Head of Kinsale. The captain dies at age 33 along with 11of his crew. William Bruce was awarded the Distinguished Service Cross for his services in the Auxiliary Patrol areas at home and abroad during the period 1st January 1915 to 31st January 1916. An attack on Rainy Wood and Dewdrop trenches by the Middlesex Regiment results in the successful capture of the trenches. Killed in the assault is Second Lieutenant George Agar Trevor Benson MC (Middlesex Regiment) the son of the Reverend Arthur Hall Trebor Benson. Captain Emile Horace George Duncan (Royal Army Medical Corps attached West Surrey Regiment) dies at home at age 40. He is the son of the Reverend John Tait Duncan. Second Lieutenant Eric Appleby (Royal Field Artillery) dies of wounds received at Morval at age 23. 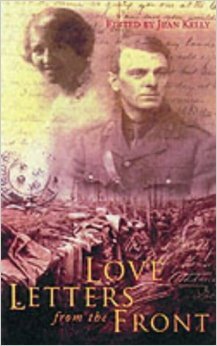 His letters to Phyllis during the war are featured in the book “Love Letters from the Front”. Second Lieutenant Maurice Sharpe (General List attached Royal Flying Corps) is killed. He is the son of ‘Sir’ Alfred Sharpe KCMG, CB and a Rugby forward for the Vale of Lune Club in addition to being an excellent rower and hockey player. Bothers David, 25, and Henry Bell, 23, are killed serving in the 57th Australian Infantry. Private Albert Austin Coldicott (Worcestershire Regiment) dies of wounds at age 19. His brother died of wounds in March 1915. Gunner Daniel Patrick O’Brien (Royal Field Artillery) is killed at age 20. His brother was killed in December of last year. Sapper Alfonso Simmons (Royal Engineers) dies at age 30. His brother will die of wounds in December. Private John Everest (Middlesex Regiment) is killed at age 28. His brother was killed in the Royal Navy in June 1915. Gunner Percy Williams (Royal Field Artillery) is killed at age 32. His brother will die of wounds as a prisoner of war in June 1917. Just a note about one claim which needs to be removed. or any other year for that matter, because no such award ever existed. Thank you for the information, I will investigate.